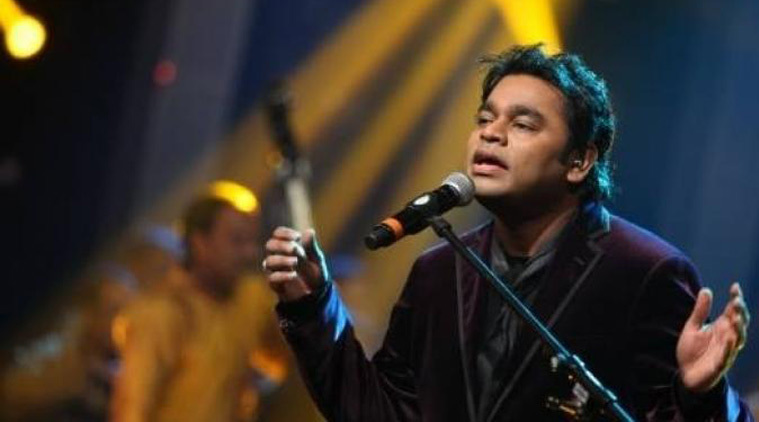 When I first got a chance to listen to A.R.Rahman, I was probably a 9 or 10 year old back home in Trivandrum. The lack of options at home to stumble upon cinema music was compensated by the set of friends in the neighborhood who owned walkman and stereos that played new music. The very first song that both my brother and I got to listen was the one from 'Kadhalan'- mukkala mukkabla laila, oh oh laila ! At that age, all I understood was 'Jurassic Park' as that was a movie that was popular among everybody during that period. It was one of my first and only exposure to Hollywood movie for a very long time. The song stayed with us even as we did not get to listen to it often. Then on a random day we stumbled on to songs from Roja on television. We usually never watched much of television and on a rare holiday occasion, Roja music was played because of it's National Awards. I surely felt very celestial listening to the songs and I am sure he stayed on my mind from then on. Being a little nomadic in our earlier days, we moved from Kerala to it's closest neighbor- Tamil Nadu. While in Coimbatore we got to stay next door to music loving neighbors. They cared less about what others felt or liked and played their our music day and night. Err.. probably that's a stretch, evening would be better. They owned stereos of good quality and good sound speaker sets that their music was audible at least two to three houses away on either side of their stretch. It was both a pain and a pleasure. A pain when we had to do our homework or study for exams and a pleasure as we got to listen to every song possible without having to spend money on cassettes. That was the time when Kamal Hassan's "Indian" got released. So, the songs from that movie was on a roll for a very long time, especially, 'Akandan thadangu'.. I never understood the meaning of the lyrics and do not even now. However, that magical music and mesmerizing voice of Swarnalatha still rings in my ears. From then on, I have remained a loyal Rahman fan and I think that both Raja sir and Rahman created magic in different styles, they were able to weave and hold their fort with ease. Today happens to be his 50th birthday and when I look back at the songs, I think it would be super hard for me to pick and choose the ones that are my favorite. However, I am going to attempt doing that and will just write down a list of the quick 50's here. It doesn't mean that I only love these 50 but these sure are on my mind today. I haven't looked up online or searched for my playlist, instead I am just writing the ones that I am humming as I think of the top 50. And this is in no particular order. I know I haven't been able to cover the very recent ones as much but this was a hard list to pen down. Happy birthday once again to the Mozart and very humble music director and let there be more good music in this world.